*******CLOSED FOR THE SEASON.. THANK YOU FOR A GREAT SEASON... SEE EVERYONE IN APRIL 2019 ***************AS A REMINDER TO ALL OUR CUSTOMERS, PLEASE REMEMBER TO WATER YOUR BASKETS EVERY MORNING WITH A GALLON OF WATER. RAIN DOES NOT COUNT.. WITH THE EXTREAM HEAT WE HAVE BEEN HAVING MAKE SURE YOU CHECK YOU BASKETS IN THE LATE AFTERNOON TO SEE IF THEY NEED ADDITIONAL WATER. 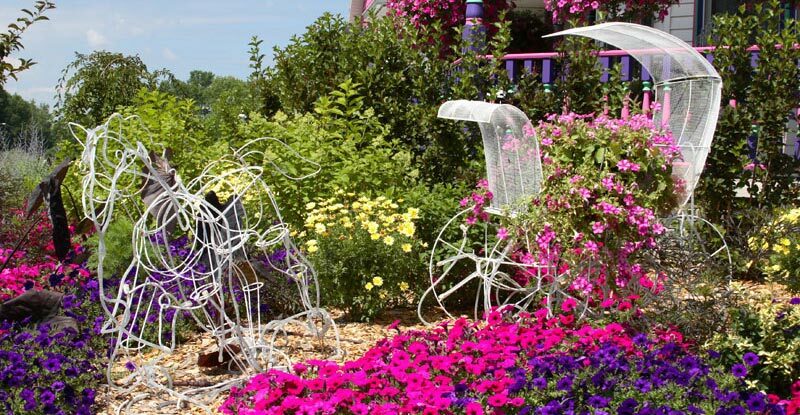 Wery’s Blossom Creek is a wholesale and retail greenhouse, specializing in a complete line of spring bedding plants, perennials, vegetables, unusual and beautiful hanging baskets, and specialty container plantings. If you drop your planters off in early spring and let us know if they are going in sun or shade and we can plant them up for you. If you like to pick out your plants you can do that as well and we can plant them up. 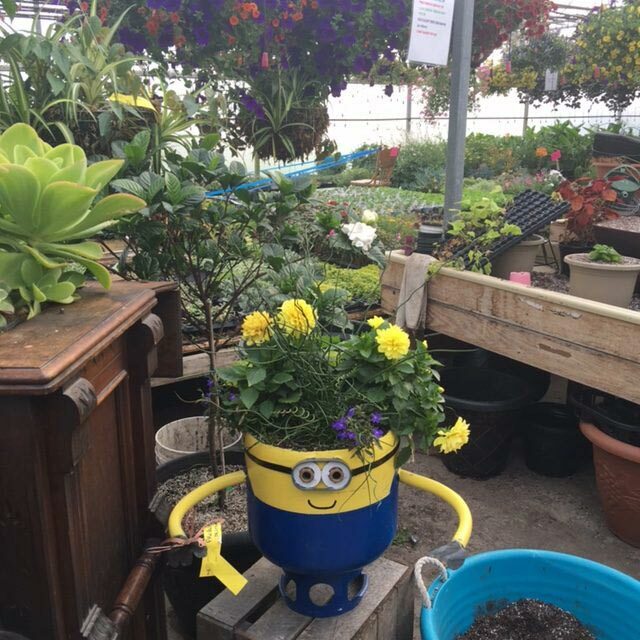 Wery’s Blossom Creek has an unbelievable selection of plants in our 7 greenhouses. You can select the plants of your choice, or we can help you choose what plants would be best in the plantings you would like to create. By letting us know where you are planning on displaying them, and wether they will be in sun or shade, we will be able to assist with our expert advice because of our many years experience. 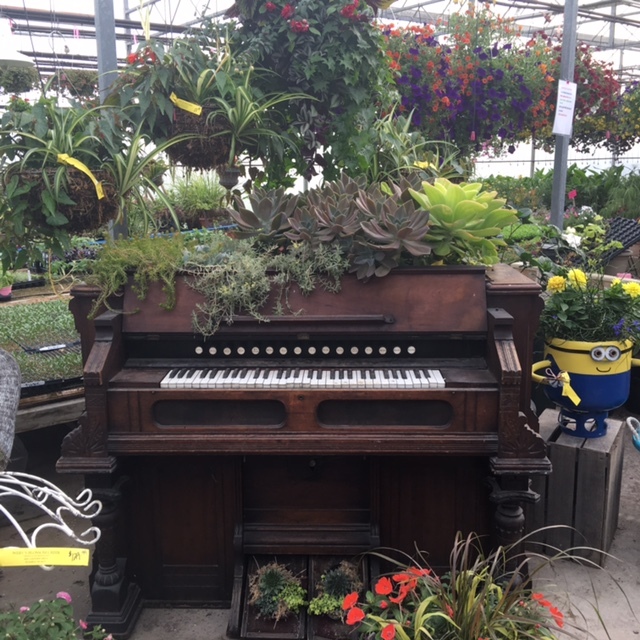 At Wery’s Blossom Creek you not only receive our expert advice, and our planting service, you are also only charged for the plants that you use and will also be leaving the mess involved in creating the plantings here! Another service we offer from Wery’s Blossom Creek for our customers who choose to re-sell our bedding plants at their retail location is we put up Portable Greenhouse Huts at their locations. We also do direct drops for wholesale customers. For more information please check out the wholesale section of our website. If you are looking for a unique experience, stop by and take a tour of the gardens at Wery’s Blossom Creek. Browse through our many greenhouses and display gardens. Feel free to take photos, sit for a spell, relax, and take some time to stop and smell the flowers. Wery’s Blossom Creek was established in 1998 by Grant and Sue Wery, on 10 acres of land in Suamico, WI, just 10 minutes North of Green Bay, Wisconsin.